Usually I feel the most stylish when I take pieces and pair them with something unexpected. I like to think of my first instinct and then think “ok that’s good, but what else could you pair it with that you wouldn’t immediately think of?”. Well, that outfit doesn’t do that. In fact, I’m pretty sure 100 rodeo dudes have worn this exact same combo of clothing. But I look pretty damn cute, right? The big deal is that I got dressed, ya’ll. 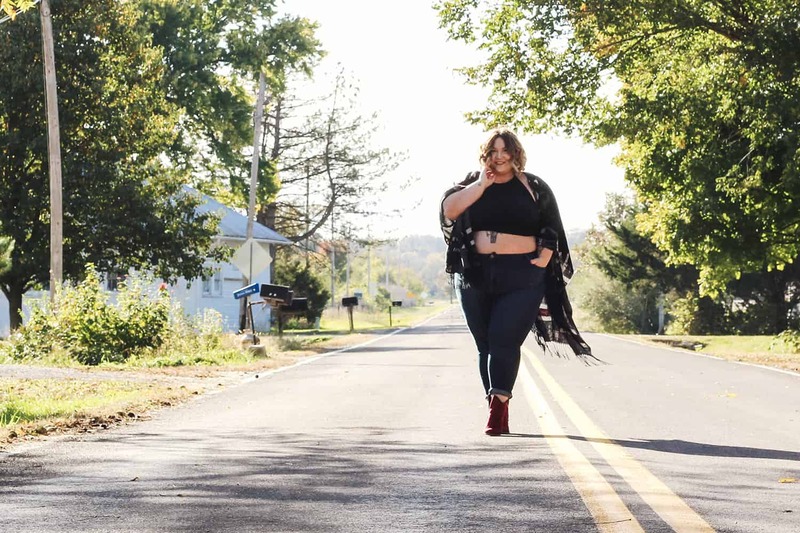 I got out of my house while dressed, and actually did an outfit shoot! It happened! If you caught my post about not doing so great, you can see why this is a pretty big deal. I’ve got to say, every time I go through a tough time (Winter) I’m always so happy that I didn’t beat myself up about it. Eventually things get better, and I can just move onward and upward without having to heal all the wounds that I could have inflicted on my psyche. It’s important to learn how to do that, and I feel like I’m getting pretty good at it. I know I say this a lot, but damn it be nice to yourself, it just makes your life so much easier! 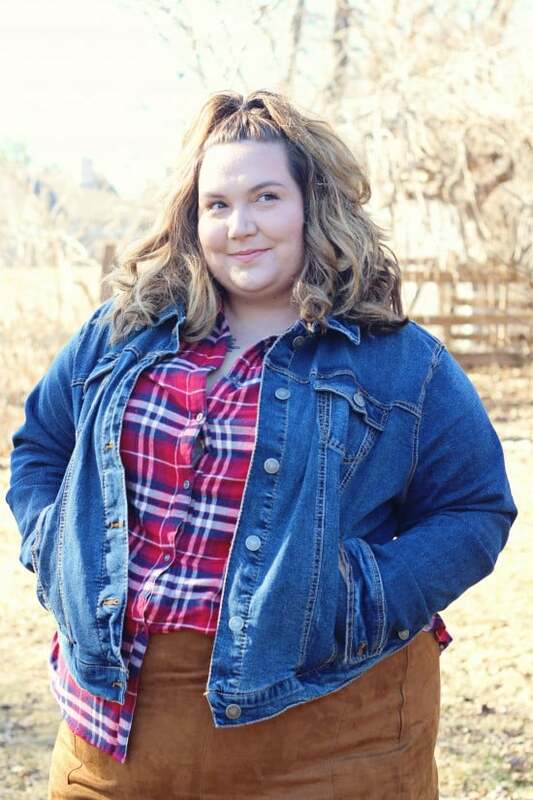 I have been on the search for an “authentic” looking plus size jean jacket for awhile. 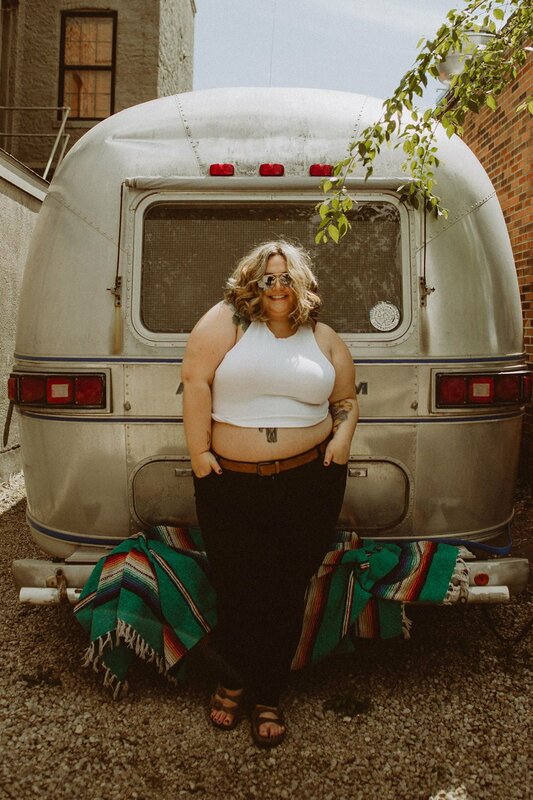 I have this weird pre-occupation with finding jeans that actually look like true denim, but of course they have to be stretchy and made for someone who’s a plus size 26. You can imagine how time consuming and fruitless that can be. 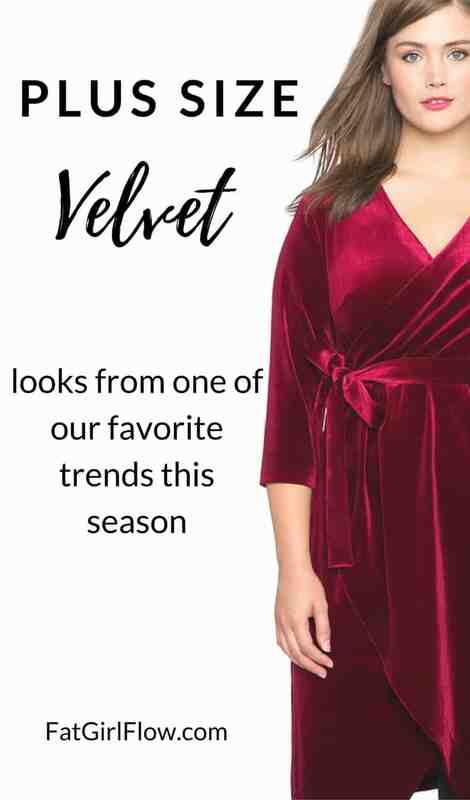 So imagine my surprise when I got this jacket in the mail from Torrid and it was exactly what I was looking for! I ordered a size up from what I normally wear, so that I can layer things underneath the jacket and still comfortably move my arms around. 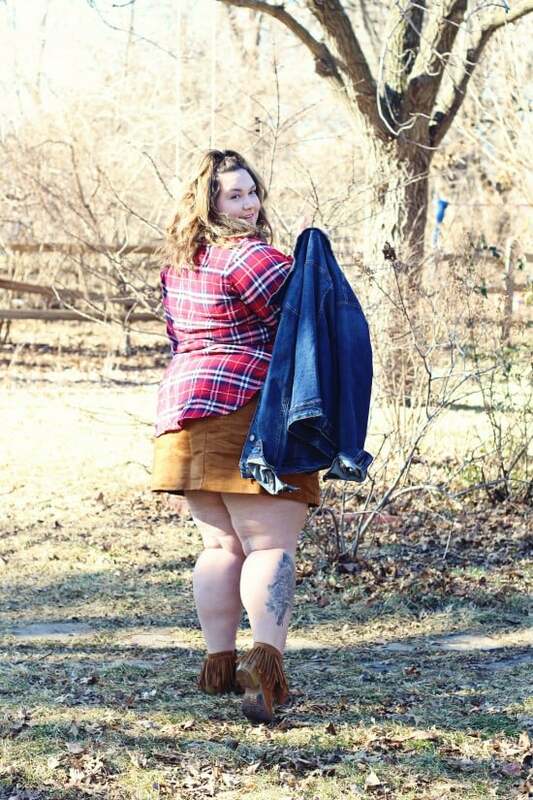 There’s so much stretch in the fabric, I honestly have no idea how Torrid does this thing where they can make their denim look thick and sturdy but also super stretchy. It’s pretty amazing. 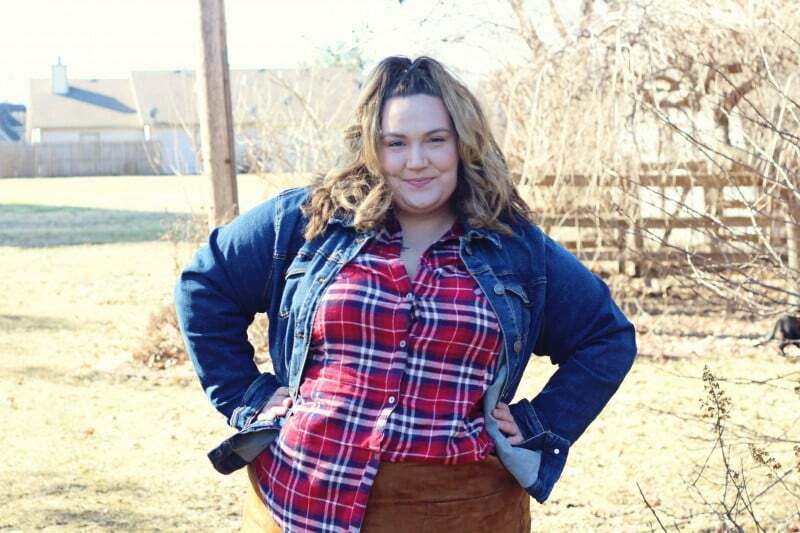 I’m planning on wearing this plus size jean jacket with just about every thing this spring, so I hope you like it! 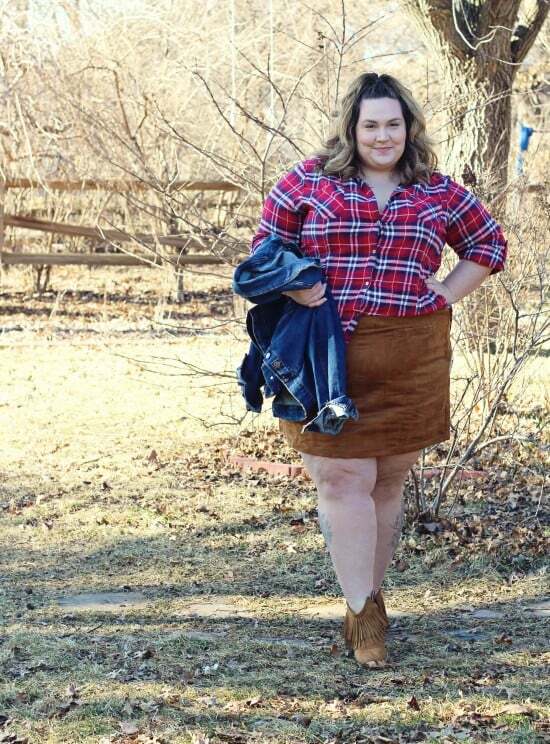 The adorable suede skirt is from Old Navy, and while I love it very much and think it’s a great style, it’s absolutely impossible to do anything mobile in it. I couldn’t sit comfortably, I couldn’t even bend over comfortably. If you’re looking for a suede skirt, check out the ones from Chubby Cartwheels, they’re much more practical!